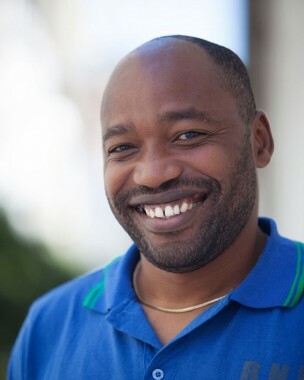 Jean-Marie Nkurunziza is a Burundian who started working for Sonke Gender Justice as a volunteer. He is now a Senior Trainer for the MenCare+ Project. He is committed to promoting gender equality, stopping gender-based violence, spreading HIV/AIDS awareness and improving men’s participation in care work, caregiving and gender equitability in his community and the world. After completing a Diploma in Arts, he studied Social Sciences at the University of Burundi. His training includes Gender Equality, HIV/AIDS, Human Rights, Gender Media, Political Economy and a Diploma in Project Management. Jean-Marie is currently doing his Masters Degree with the University of Western Cape (UWC) in the Faculty of Community and Health Science in the department of Children and Families. Jean-Marie’s involvement in activism started in 1999 when he joined the Burundi Red Cross youth group as a volunteer. After his studies he co-founded the Christian Ministries of Volunteers Evangelic in the World (CMVEW) where he was the Community Coordinator and Counsellor in HIV/AIDS. He started working with refugees and migrants in South Africa with Jubilee South Africa and later the Bienvenue Shelter in Johannesburg. He is fluent in French, Kirundi, Swahili and English and worked with the Refugees and Migrants Community through the Refugee Health and Rights (RHR) Project from 2007-2013. Jean-Marie now works with parents and young men under the MenCare+ program, which focuses on fatherhood, gender equality and caregiving.